Pass the mic: Mike Salisbury has wanted to try public address announcing since he was in high school. He began PAing for the football program in 2011 and started announcing at basketball games in 2015. 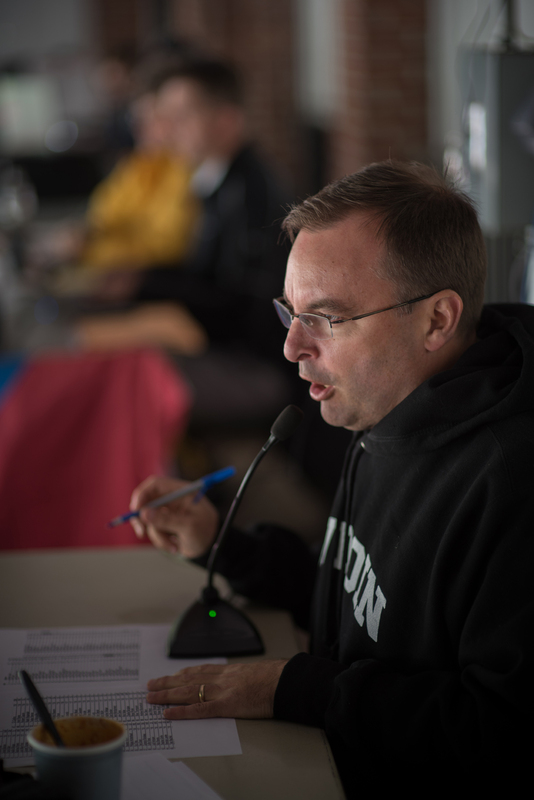 After serving as the public address announcer (PA) for men’s and women’s basketball since 2015 and for football since 2011, Salisbury knows exactly how to change his voice to reflect the excitement of a game without drawing attention to himself. He enjoys his role in rousing the crowd and motivating players. 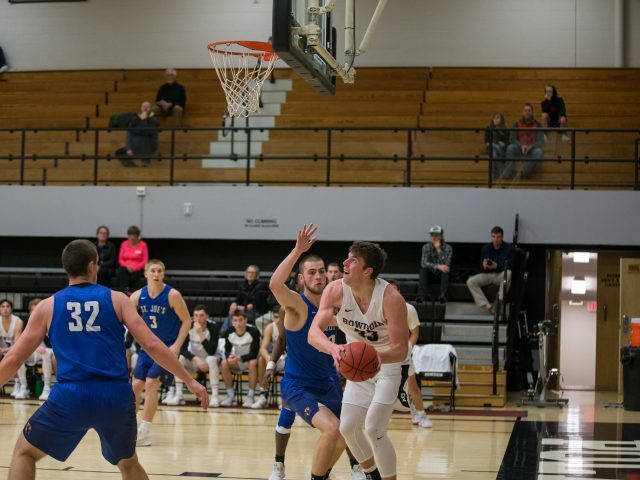 “Being a public address announcer is really about sharing the information of the game for the fans that are there as well as shining a spotlight on the players on the court or the field,” Salisbury said. In 2009, Salisbury’s father passed away from cancer, giving Salisbury the push he needed to begin pursuing public address announcing. When Salisbury got word of Freeport High School’s new varsity football program, he jumped on the opportunity. Soon after, he reached out to Bowdoin asking if there were any openings to PA at any sports games. In 2011, then Sports Information Director Jim Caton asked Salisbury to PA football games. 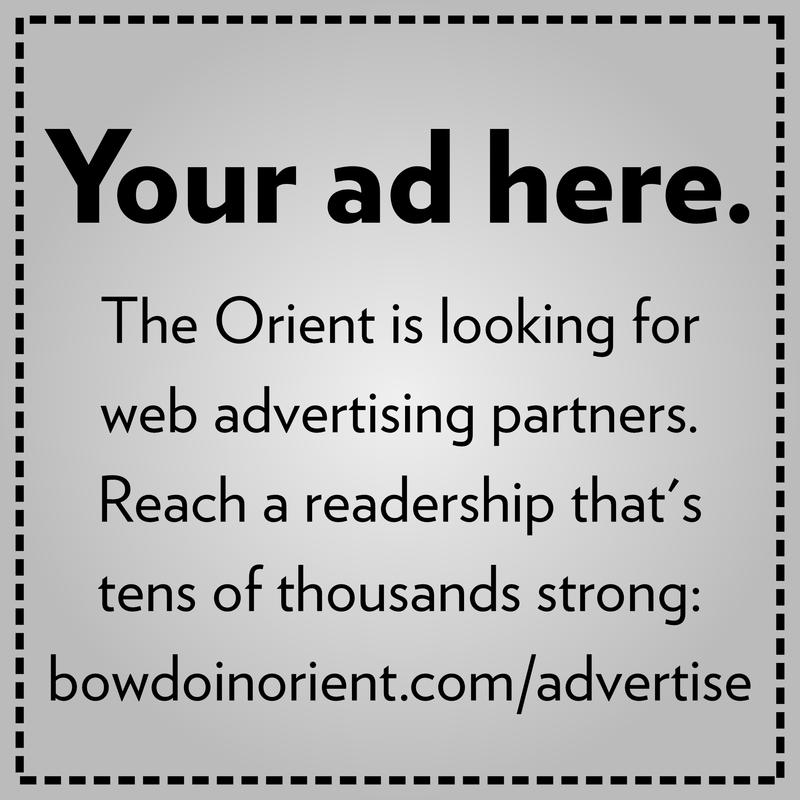 The one connection Salisbury has to Bowdoin is through women’s basketball coach Adrienne Shibles, who is currently leading the team through an undefeated 18-0 season. Salisbury’s mother was roommates with Shibles’ mother during college, and the families have been close friends ever since. 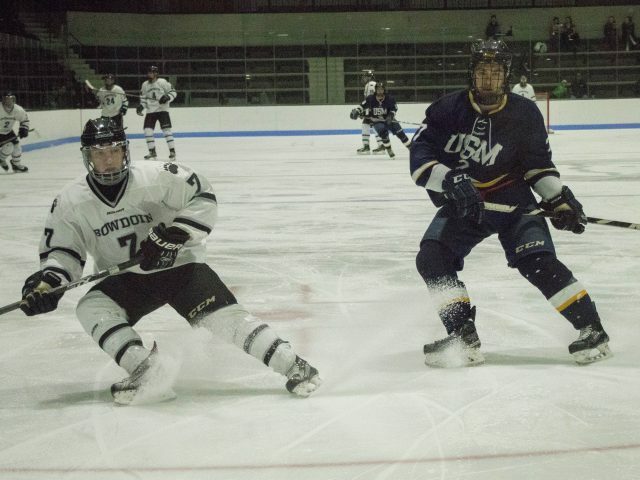 Bowdoin offered Salisbury the chance to PA at the Frozen Fenway women’s ice hockey matchup between Bowdoin and Connecticut College last season which Bowdoin won 3-0. For Salisbury, however, a successful PA never makes the game about oneself, but instead focuses on the players. Although being a PA is not a full-time job, Salisbury feels lucky to be able to have an opportunity to complete a goal that he has had since high school while living in a place that he loves. Last weekend, both the men’s and women’s swim teams scored a victory over Bates for the first time in five years. Defeating Bates was a key goal for both teams this season and this win demonstrates the teams’ improvement. For the common good: Camil Blanchet ’18 was one of eleven athletes nominated for the 2018 Hockey Humanitarian Award, an award given annually to a college hockey player who contributes significantly to his team and to his community in general.